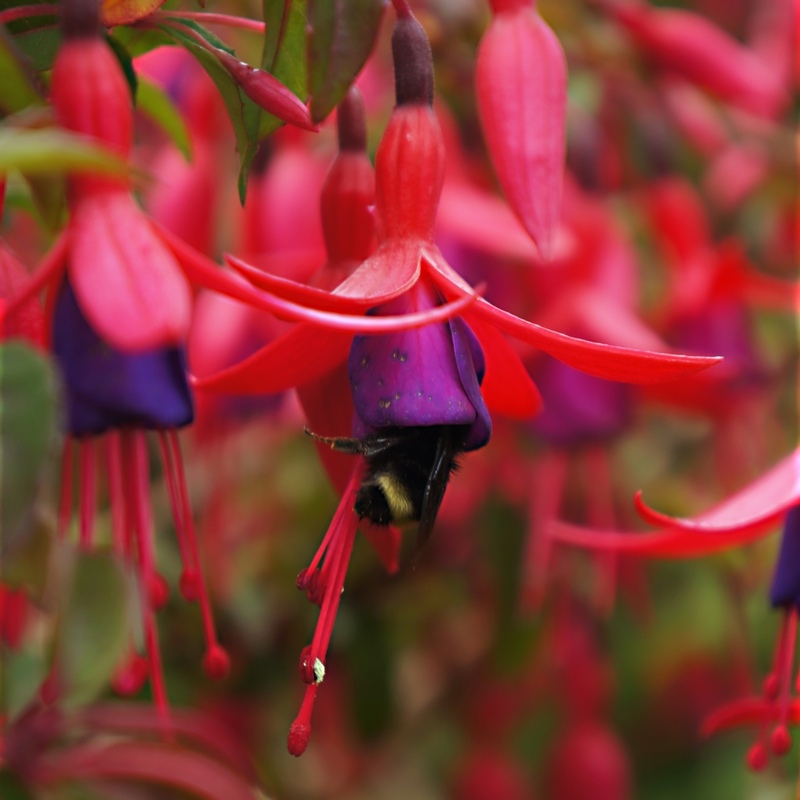 This fuschia plant is in my mom's yard in CoosBay. This fluffy bee was just going around from flower to flower stuffing half his body in every one. I don't have a macro lens, so the focus was pretty tough.